So...it's the end of March, and it's still soup weather. Surprise, surprise. A bit clammy, misty, and just not very cheerful. Thank God for comfort food. This recipe idea came to me just in time to test out before the Passover holiday (Hebrew: Pesach, pronounced Pay-sahkh), when matzo ball soup is an absolute must. And a worthy chicken soup must be the base for those floating spheres of goodness. When you have a good soup as a base, then choose your starch. Add egg noodles (Trader Joe's carries fresh, GF egg noodles for 3.99! ), rice, or matzo balls. The Yiddish word for these traditional dumplings is "kneidelach" (kuh-nay-del-akh). One of my favorite Jewish food bloggers, Tori Avey, makes a beautiful gluten-free, potato kneidalach here. 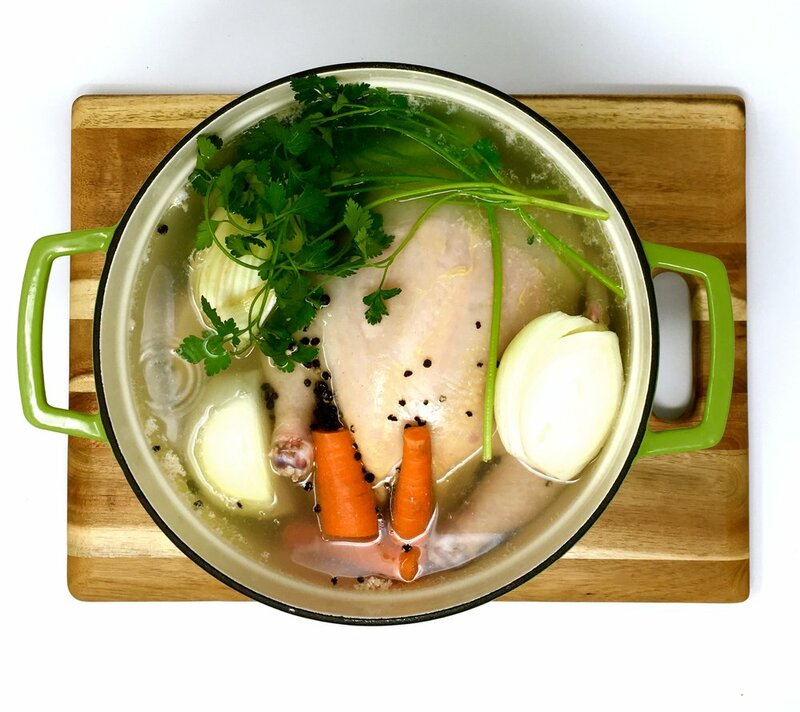 Everyone has their own spin on chicken soup. 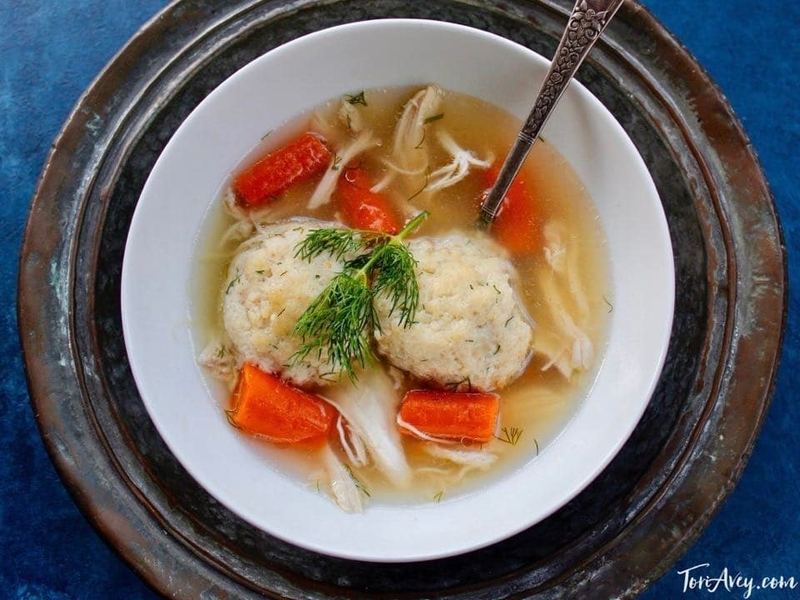 Known as "Jewish penicillin," it's soothing and healing for the body and soul. This year, I came across JUST the recipe I needed from a food blogger at TheKitchn. with thorough and straightforward photography and instructions, she followed a beautifully traditional method from the book Modern Jewish Cooking. The post answered all my wonderings and ponderings on the the nitty gritty details of the soup-making process. But...I know myself. Even with a fool-proof, tested recipe, I tend to mess things up. For whatever reason, though her recipe may be amazing - somehow I knew I'd miss something, and my soup would be bland. And then my high-maintenance palate may demand some kind of high-maintenance flavor enhancement to justify the 2 hours I invested in this comfort food experience. But what is one to do when they want the satisfaction and sense of accomplishment from completing a soup from scratch with a whole chicken, but can't stand bland chicken soup? And - they want it to be easy, cheap, and gluten-free? I love Thai food, Middle Eastern food, Indian food, Ethiopian food, and anything that will leave my palate spinning in a wondrous revelry. But bland, European/American food? Not my jam. Not at all. If I'm going to spend 3x what a meal should cost by eating at a restaurant, OR...if I'm going to spend more than about 10 minutes of my precious time in the kitchen, my palate darn better not be bored with the result. I didn't have the time or energy at the moment to tweak and perfect a "from-scratch" whole chicken recipe. But the whole nostalgia and self-accomplishment of the experience was beckoning. So, my mom, when hearing of my ambitious plans, advised: "Don't use water. Use chicken broth or it will be bland." But at $2.50 a quart of free-range, organic chicken broth, I didn't want to spend $10+ more on my soup after I already paid a semi-premium price for my free-range, organic chicken. Water it was. 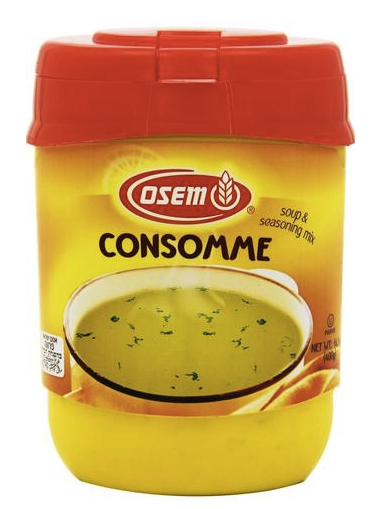 I knew my Israeli host mom would advise to use a certain kosher for Passover, chicken-flavored powdered soup mix, whose flavor I miss dearly. It is the fixture when it comes to typical Jewish cooking. Not only is it a traditional must, but it is truly an easy button/silver bullet. But who said "easy" and "flavorful" had to come in a powdered mystery mix? Why can't it come from pure, highly concentrated, 100% natural, plant-based, organic, toxic-chemical free, what-you-see-is-what-you-get, single ingredient essential oils?? BEHOLD... my new easy button. Whipping up an Italian red sauce? Choose Oregano, Black Pepper, or Basil. Making a French dish? Maybe some Rosemary, Thyme, or Marjoram. Cooking up some Cajun? Mix in some Celery Seed, Black Pepper, and Basil. Want your Thai to be as tempting as the restaurants? Add Lemongrass, Basil, and Lime. NOTE: These oils are STRONG! If you're doing a dish with multiple servings, start with a drop and taste it before adding more. For just 1 serving, dip a toothpick in the little groove of the stopper if there's some oil accumulated there, and swirl the toothpick in your dish. This is the equivalent of 1/4 a drop or so. Back to my soup story. I thought I had followed the amazing recipe from TheKitchn correctly, but probably not. I think I only added half the vegetables for the volume of my pot. You could probably do it better. I'm not a chef, guys. I just improvise whenever I screw up. But never fear - oils are here. I tasted it, and didn't despair... but reached for my tools. Hippocrates was one smart guy. I already have these bottles on hand for their vast therapeutic properties. I need a whole other blog post to talk about how instantly effective they've been for me in so many ways. Whether we're talking relief/support in the digestive system arena, or for immune boosting effects, or muscle-relaxing properties, or endocrine support, or hormonal support... and on and on. 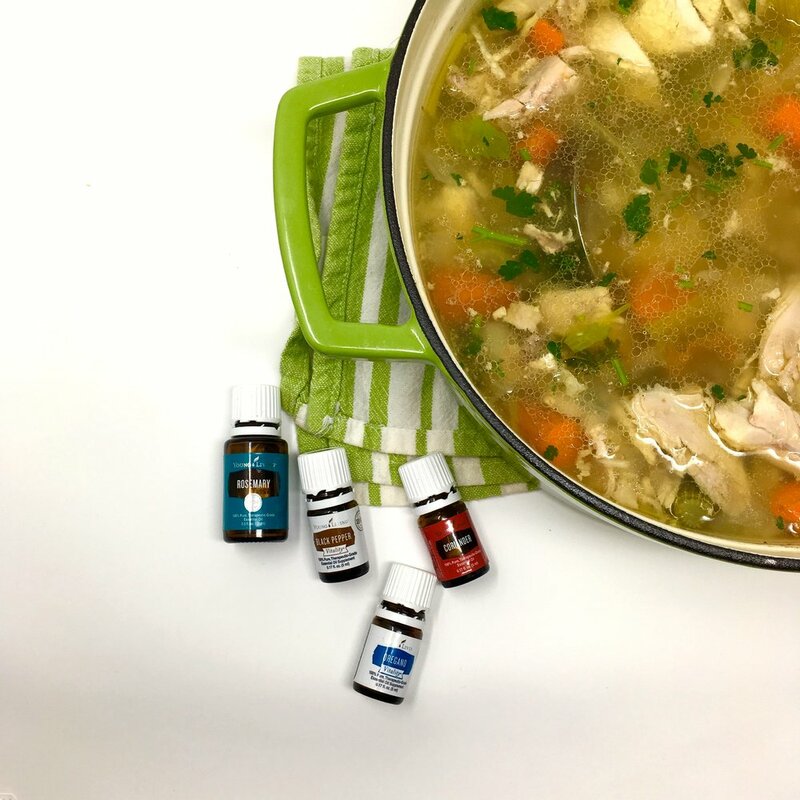 Can anything in your medicine cabinet double as a soup enhancer? Didn't think so. Best bang for my buck is when I can kill 2 problems (or 3, or 4) with just one oil. Once the soup had been taken off the stove for about 10 min (don't want it piping hot or the oils will evaporate off), I added about 4 drops Black Pepper, 4 drops Oregano, 3 drops Rosemary, and 2 drops Coriander...to my 6 quarts of chicken soup, stirred, and put the lid on for a few minutes before serving. Talk about cost-effective! These oils never dry out or lose flavor like most of the soup spices in my cabinet had! About 100 drops in each little bottle, and 300 in the big bottle. You guys...it was incredible. Just when I thought I'd wasted my premium-priced whole organic free-range chicken, and my hour plus in the kitchen...these drops totally redeemed it all. And - it made enough for like 12 meals. Major win. At this point, some of you who don't see through the smoke and mirrors of these pictures think I'm some accomplished chef. When I bring oil-spiked dishes to gatherings, the food has the same effect. But guys....I'm not a chef. I just like to be efficient and find "easy buttons" and life hacks, and I hate bland. That's it. Oils are the bomb. ...and before serving, add a drop (or "toothpick dip") of miracles that will benefit your liver, digestive system, and nervous system too, depending on your choice.